Dr Shox has been using the Sphere Cartridge kit in his Husqvarna 350 this year and doesn’t want to give them back!! the thing i really love about them apart from that, is the fact they fit all bikes, so with the small cost of a fitting kit, once you have the front end setup just the way you like it you can take the Sphere kit with you and put it straight into your KTM, HUSQVARNA, BETA SHERCO, TM, GAS, GAS HONDA, KAWASAKI, YAMAHA, SUZUKI!!!!! Brilliant. We seem to be in an time where the Bike manufactures are experimenting with Different things, single springs, Air forks, 4CS, Explore… which has made the forks on most of the New Makes and models not as nice as they have been in years gone by! I like testing with all these new light forks, and there are significant improvements to be made, The Ray kit in the WP 4CS fork is pretty amazing for one, i’m sure soon they are the future, But right now i like racing with a pair of Very high grade alloy, Quality, Hand made, Hard anodised, Closed cartridge forks with my trusty pair of Steel springs. We have 2 Sets of WP Forks to fit KTM, HUSKY, Sherco, and also 1 set of Beta Forks, Which have a set of SPHERE Cartridge kits installed for customers to test, 1 set for Enduro and 1 set for MX. We also have a set of WP Forks with the Ray Kit install Available for testing too. 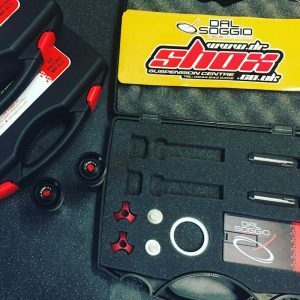 If your thinking of coming along to a suspension setup day / Training Day or you are serious about Upgrading Your forks them Book in and come along to our Suspension test compound and try a set for yourself! Try before you buy. SPHERE HYDRULIC CARTRIDGE is an innovative hydraulic cartridge for Race performances by Dal Soggio, excellent for off-road discipline, especially for enduro but also well adaptable and high performing for motocross too. The answer is very simple. This particular sealed and pressurized cartridge considerably increases precision and sensibility of the forecarriage, giving better feeling on driving. As consequence this will entail beyond safety, also a big pleasure and fun when you’ll ride your motorbike, both you are doing an important race both you are enjoy yourself with friends. For which model of front fork is available? SPHERE is available for all models of front fork, such as WP 4CS, WP OPEN, SACHS, MARZOCCHI.. And Dal Soggio Race also offers a new springs kit for KAYABA PSF2 for the conversion by air fork to a fork with traditional springs. And for the installation and setting of SPHERE? 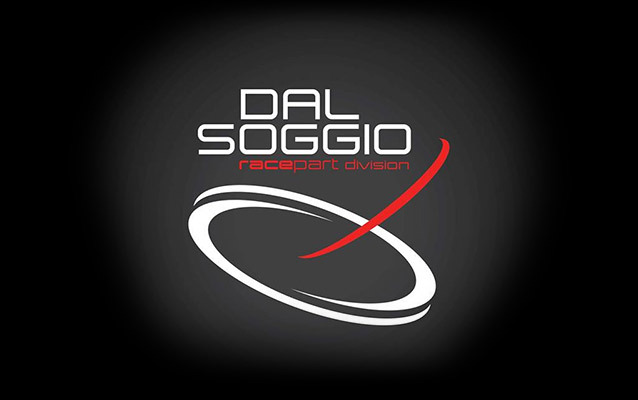 We of Dal Soggio Race always recommend to contact the centers specialized in suspensions’ set up (you could find someone on “Retailers” page), where expert people will know quickly install and setting your SPHERE hydraulic cartridge in the best way and in safety, that should never be underestimated. Thanks’ to 38 clicks available, it provides a wider and more precise regulation of compression. The automatic bleed valves are calibrated one by one in laboratoty, to ensure the correct internal pression. The pressurized bladder system guarantees a greater sensitivity to the fork. The compression piston is made in ERGAL 7075 with an hard oxidation treatment. The oil’s crossings are 4 and no more 3 to ensure a greater and more precise oil flow. The compression piston is made in ERGAL 7075 with an hard oxidation treatment. The 4 oil’s crossings decrease the wear of oil and shims. The slide camp (made with teflon treatment) serves to give a greater sensitivity to the hydraulic cartridge. Thanks’ to 38 clicks available, it provides a wider and more precise regulation of rebound. It gives the possibility to preload in a simple and fast the fork, without havig to remove the hydraulic cartiridge from the fork. The particular profile of the lip seal is adapted to avoid the slip-stick effect on the small movements of the shock. RAY KIT PISTONS WP 4CS is the new kit, studied and created by Dal Soggio Race to enhance the performances of WP 4CS, efficaciously revolutionizing the whole front fork. In fact, once have installed the modification kit, both the legs of front fork return to work in the same way and remains the pressurization of the original system. Excellent for enduro is also fit for motocross and the other various off-road disciplines. The RAY kit pistons for WP 4CS is utilized by professional riders, which are looking for ever more high performances, but it’s also perfect for riders or passionate, that simply want obtain the maximum feeling with them WP 4CS front fork. With only a few arrangements, however the result is really very amazing and it will ensure that front fork works naturally, creating less friction on it and giving you certainly greater comfort and safety when you riding your motorcycle. How does RAY kit pistons work? The RAY kit completely modifies the way to work utilized by WP 4CS system, bringing to a compression in the lower part and rebound on the upper part of both legs, doubling the oil flow on shims. How install the RAY kit? We of Dal Soggio Race always recommend to contact the centers specialized in suspensions’ set up (you could find someone on “Retailers” page), where expert and trained people will know quickly install and setting your RAY kit in the best way and in safety, a thing that should never be underestimated! Which versions of RAY are available? Two version of kit are available, one for all KTM models and Husqvarna that are been provided with WP 4CS front forks since 2013 to 2015 and the brand new kit to modify the 2016 models.